President's Blog - This Is Not A Coincidence! History provides numerous instances of odd coincidences. Mark Twain was born as Samuel Langhorne Clemens on Nov. 30, 1835, the day Halley’s Comet streaked past planet Earth for its only local appearance in the 19th Century. Twain died on April 21, 1910, the very day Halley’s Comet made its return. What is NOT a coincidence is the findings of Spectrem research showing that there is a relationship between an investor’s financial and investment knowledge level, his or her tolerance for risky investments and their dependence on a financial advisor in making investment decisions. Those three investor traits are tethered. Low levels of knowledge lead to less risk tolerance, and investors who exhibit such low levels are very likely to depend heavily upon the expertise of a financial professional. The converse is also true. A knowledgeable investor is more likely to take more investment risks and is less likely to depend heavily upon a financial advisor. Our study – Knowledge, Risk and Advisor Dependency – digs deeper into the relationship between those three investor traits and reveals how an investor’s levels of knowledge and risk can impact an investor-advisor relationship. Is it advantageous for an advisor to have investors who are overwhelmingly dependent on their advisor for knowledge and advice? 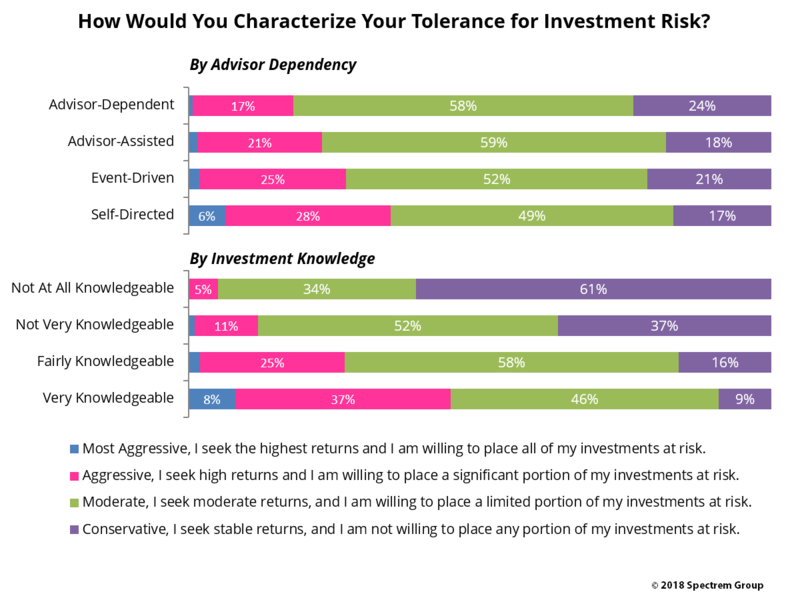 Is that dependency a positive trait for advisors, or is it a burden? Do you want your investors to gain knowledge as they work with you? Do you want to be the one who educates clients? Is there an advantage to you as an advisor to transition your clients into being more knowledgeable and less dependent upon you? Should you explain to your risk-averse clients the advantages of taking greater risk, which is just another way of educating clients? 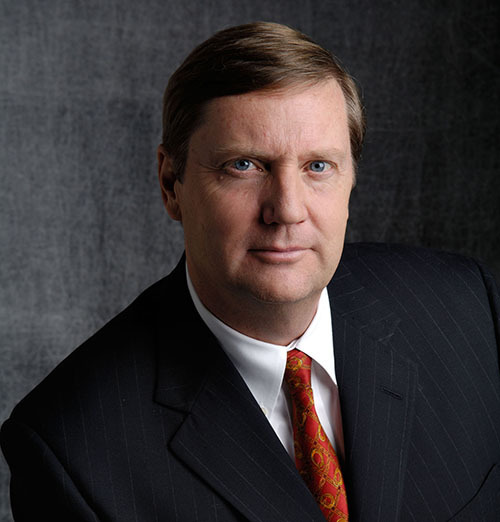 Just as there are advantages working with knowledgeable clients, there are disadvantages. A wise client often enters conversations with preconceived notions advisors might need to argue against. A knowledgeable client is more likely to take risks with investments, and advisors might be put in a position to put the brakes on that enthusiasm. At the same time, there are advantages and disadvantages to working with a client with little or no investment knowledge. There are fewer arguments, but if a knowledgeable client is less likely to take a risk, does that change an advisor’s role from actually advising to being more of a money manager? There are knowledgeable investors who are dependent upon their advisor, but that is usually a time issue; investors who are busy with their business or career will lean on advisors, even if they know enough to do the investing themselves if they had the time. But that fact begs the question from the study; are advisor-dependent investors naturally averse to risk, even if they are knowledgeable? Would an investor who is smart enough to understand the risk involved be willing to hand over all decisions to an advisor? The balance of an investor’s knowledge, risk tolerance and advisor dependency is different with each client. But understanding how those three investor traits impact investing is significant for advisors who want to maintain those relationships and want to see them grow.